You are here: Home / Design / The magical things that can be created with paint effects! 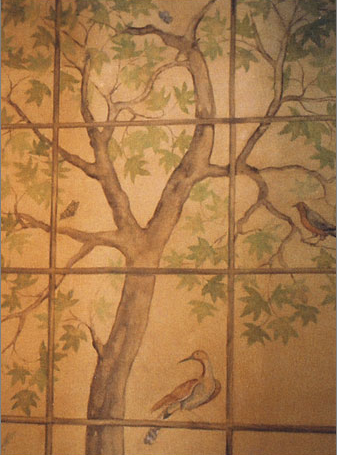 This is a hand painted tile mural in a niche. (painted and fired by Radisha)! Examples of other works I love! This fantastical ceiling absolutely “makes” this awkward space! This wall treatment is like a dado echoing the ceiling! This is my favorite! It is like being in a pergola. A tent on the ceiling and walls! Inspiring Penny! 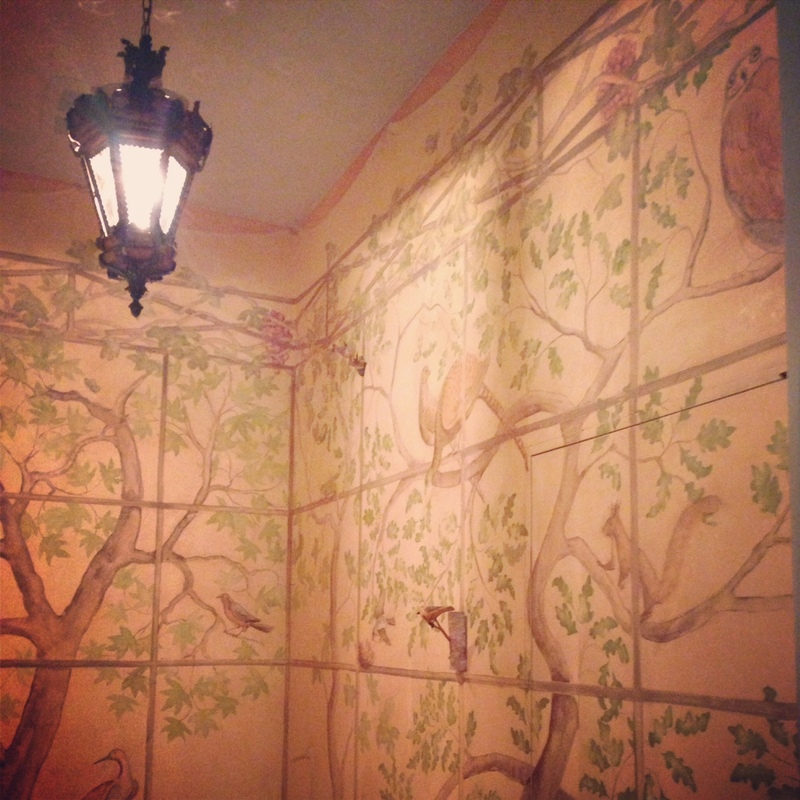 Love the hand painted tile!!! Sally and I saw Doug and Lena just the other day at a presentation on historic Zuber wallpaper we sponsored here in Salem. Wish you could have been there. You would have loved it! I adore the blue lime wash over your bathtub. It’s perfection!! All lovely. WELL,TODAY I FOUND A BABY DEER DOE!I MAY HAVE TO GIVER HER TO YOU AS THE HUSBAND DOSNT WANT ME TO KEEP!SHE IS ALL OF 3 DAYS OLD!IN THE TENTED PHOTO I HAVE THE SAME CHANDELIER IN MY KITCHEN!SO, ONCE AGAIN WE HAVE THINGS IN COMMON!ALTHOUGH, I REALIZE THAT ISNOT YOUR HOUSE.I READ ABOUT LIME YEARS AGO………AND OF COURSE WANTED TO DO THAT HERE!BUT WE DIDNOT WENT A FASTER WAY!GREAT POST! May I have a picture of it? I know it isn’t “alive”! I think I want to buy it! Hello there Penny! I think that your washroom is my favorite that I have ever seen. That would make me happy every day too. Something made with such love and attention. What is amazing is that knowledge somehow got lost by the artisans for a while and there are many ancient homes that have been shored up with cement! So they are rotting from the inside because, especially as there is extra humidity as we are right on the Rhone River, they do indeed need to breathe. 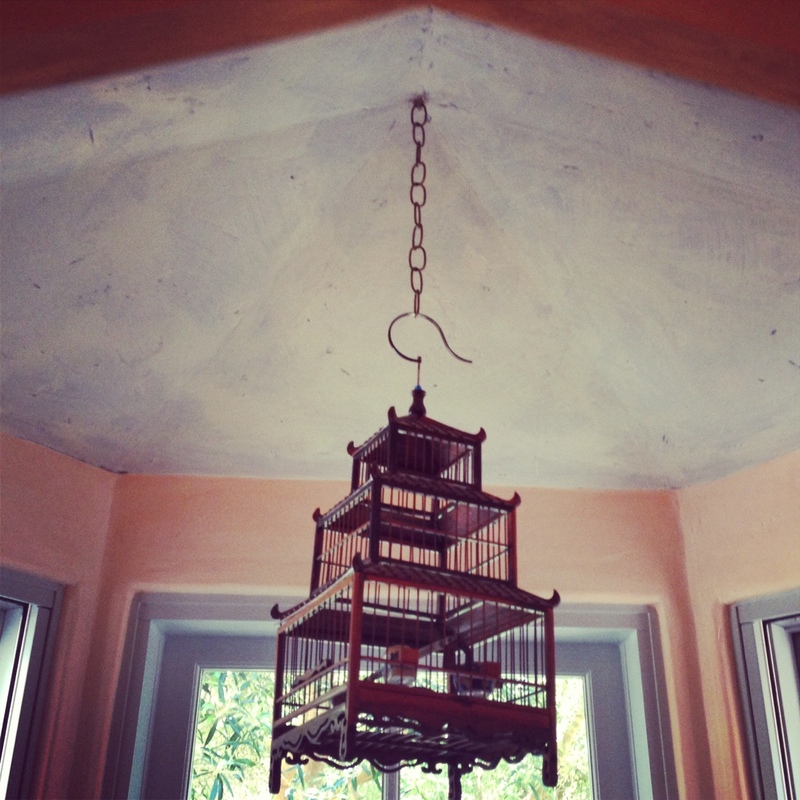 and the pink walls too. How do you achieve this? The pigments are from Roussillon; in France they are mined out of the ground. I will try to get the website!) mixed with lime and put on to raw plaster with a big brush!